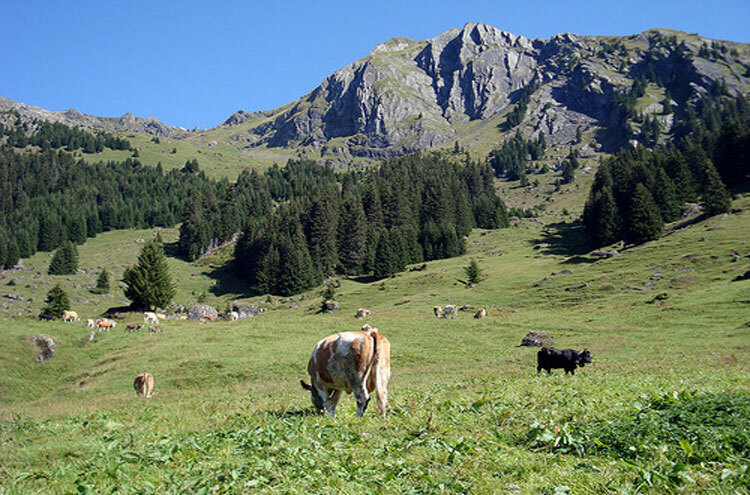 Short, medium-level hike through some of Switzerland's most iconic scenery. 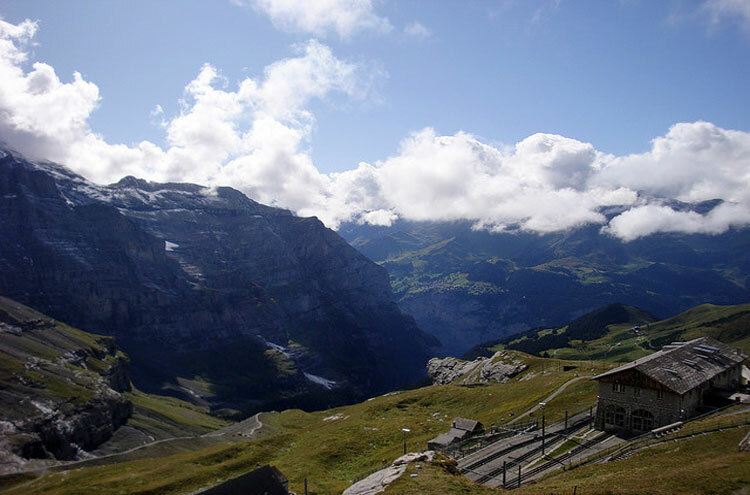 Hike through the glorious high alpine pasture and lakeland scenery of the Grindelwald, pass a wonderful waterfall and come within touching distance of the Eiger's iconic north wall. 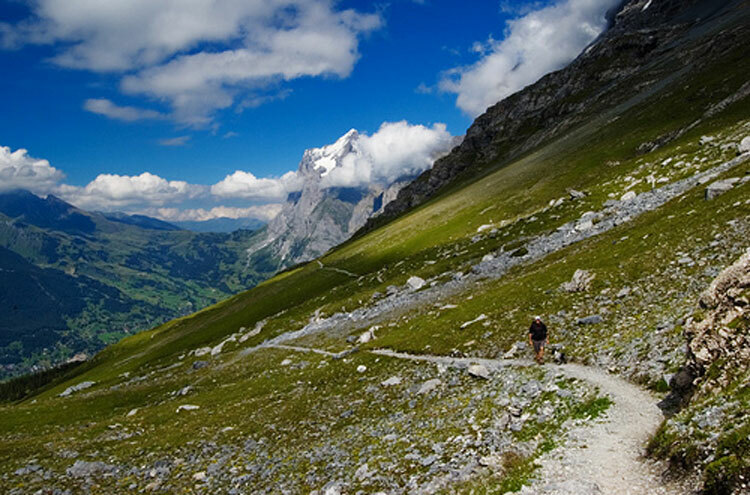 Easy public transport to both trailheads from Grindelwald make this stunning walk an easy excursion; hardier walkers have many options to extend. 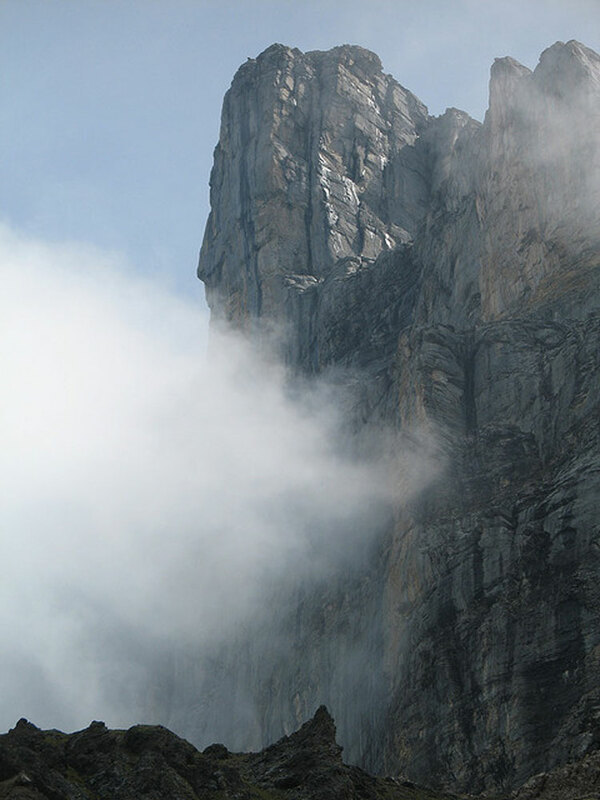 The Eiger, a sheer limestone buttress protruding from the Munch, is one of the most-coveted icons for mountaineers. 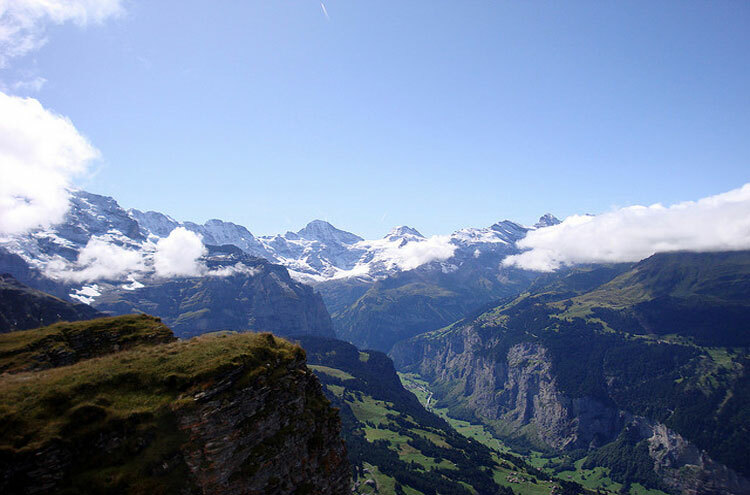 Its forbidding north face, hanging over the high pastures of the beautiful Bernese Oberland, strikes awe into anyone who sees it. 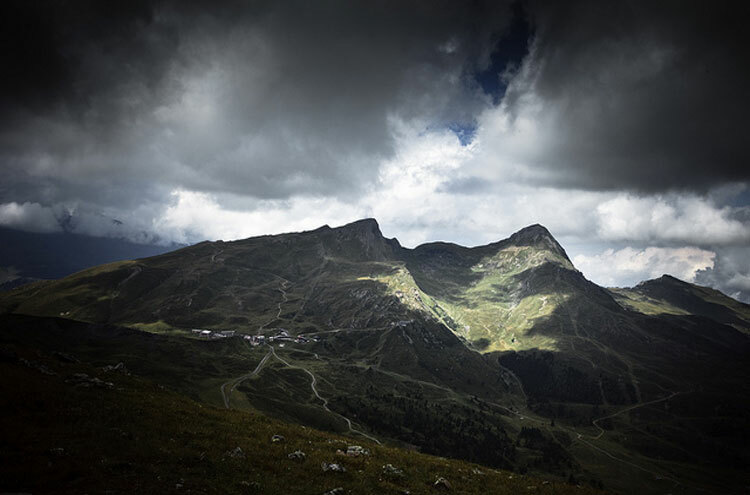 Within, but not geologically part of the Alps, it draws climbers from all over the world and its magnificent snow-capped presence has inspired books, films and imagination for generations. 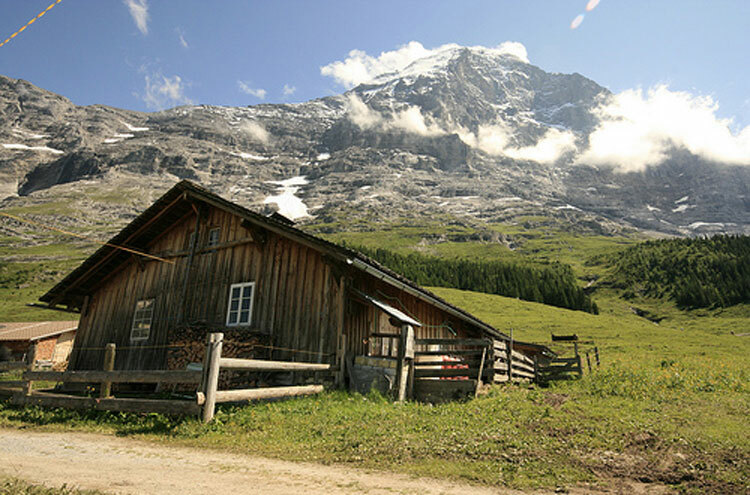 The Eiger Trail, part of Switzerland's impressive footpath system, allows the unequipped to walk the six kilometers between the Alpine stations of Eigerglestcher and Alpiglen and gaze up at this looming monolith, and the equally spectacular Munch and Jungfrau, at close quarters. 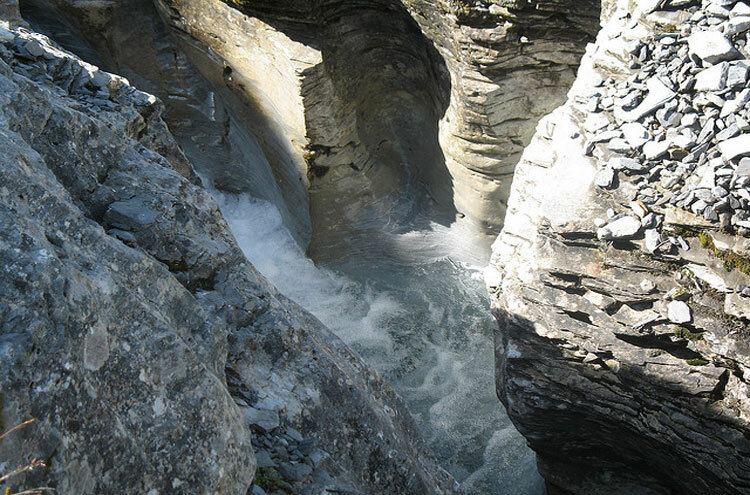 A relatively easy (easier starting from Eigergletscher) trail, it can be extended at either end by walking up to Eigergletscher from Kleine Scheidegg (5km) or extending on from Alpiglen to Grunewald (6km). 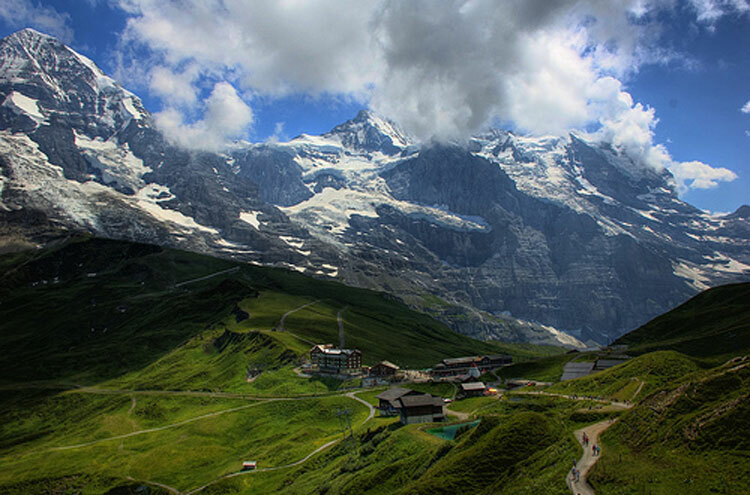 The high pastures of the Grindelwald, are exquisitely beautiful; both peaceful and foreboding, examples of the human ability to tame even the most demanding landscapes. Great fields of scree, darkly overshadowed by the sinister rock-face - you may well be able to make out groups of lunatics making their way up its unforgiving wastes - give way to swathes of gentian-dotted green echoing with the ring of cowbells, a stunning waterfall, lakes and occasional isolated dwellings, and, even in Summer, surprisingly common snowfields. Halfway along, the trail leads through a field of small cairns; a surprisingly moving memorial to the many individuals who have tried and failed to conquer this iconic rock-slab.